Our Linen Rentals are high quality and at a low price that is affordable. You will love the tasteful colors that we have to offer. We specialize in solid color poly cotton table linen and napkins. 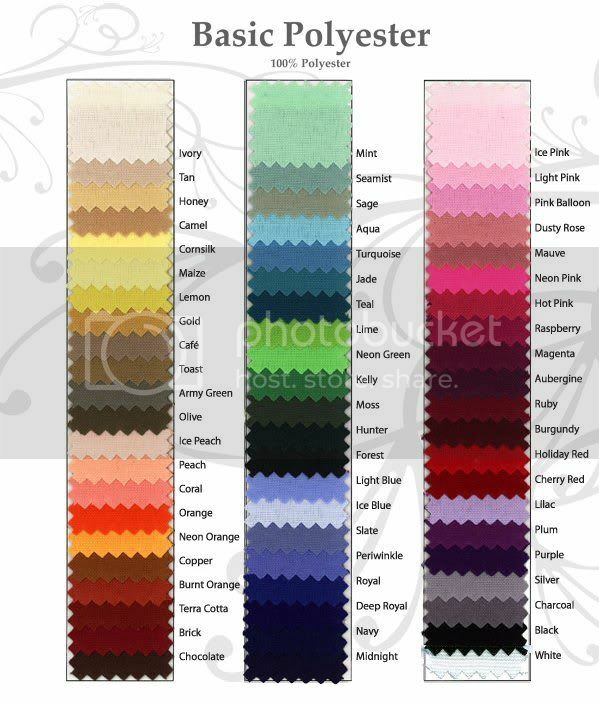 Click on our color swatch above to see the variety of colors that we have to offer. Place your order today to guarantee availability! We offer linen rentals in Peoria AZ, Phoenix, Scottsdale, Paradise Valley, Surprise, Sun City AZ, and all remaining surrounding cities. Do you need a table to place the linen over? Visit our table rental page to view the different sizing options we have available! We encourage our customers to get creative while planning their event. It should be one to remember and should create a lasting memory with everyone around. Dare to go outside the box and add some flare with some color! Please feel free to visit one of our suppliers websites if you are interested in a specialty linen.